In Not Quite a Cancer Vaccine, medical anthropologist S.D. 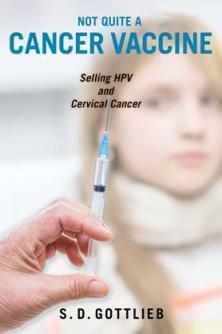 Gottlieb explores how the vaccine Gardasil—developed against the most common sexually-transmitted infection, human papillomavirus (HPV)—was marketed primarily as a cervical cancer vaccine. Gardasil quickly became implicated in two pre-existing debates—about adolescent sexuality and pediatric vaccinations more generally. Prior to its market debut, Gardasil seemed to offer female empowerment, touting protection against HPV and its potential for cervical cancer. Gottlieb questions the marketing pitch’s vaunted promise and asks why vaccine marketing unnecessarily gendered the vaccine’s utility, undermining Gardasil’s benefit for men and women alike. This book demonstrates why in the ten years since Gardasil’s U.S. launch its low rates of public acceptance have their origins in the early days of the vaccine dissemination. Not Quite a Cancer Vaccine addresses the on-going expansion in U.S. healthcare of patients-as-consumers and the ubiquitous, and sometimes insidious, health marketing of large pharma.